Dimensions 1.75 by 6.25 by 9.25 in. This anniversary edition which has stood the test of time as a runaway best-seller provides a practical, straight-forward guide to achieving security throughout computer networks. No theory, no math, no fiction of what should be working but isn't, just the facts. 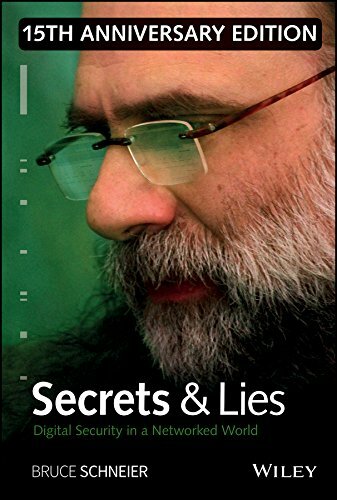 Known as the master of cryptography, Schneier uses his extensive field experience with his own clients to dispel the myths that often mislead IT managers as they try to build secure systems. A much-touted section: Schneier's tutorial on just what cryptography (a subset of computer security) can and cannot do for them, has received far-reaching praise from both the technical and business community. With a new and compelling Introduction by the author, this premium edition will become a keepsake for security enthusiasts of every stripe. About: This anniversary edition which has stood the test of time as a runaway best-seller provides a practical, straight-forward guide to achieving security throughout computer networks. About: An expert in cryptography and electronic security explores computer systems and threats, the hacker mindset, threat modeling, preventative technologies, and the implementation of security systems.